Wake Your Taste Buds with the Breakfast Blend - Light, bright and a good start to the day! 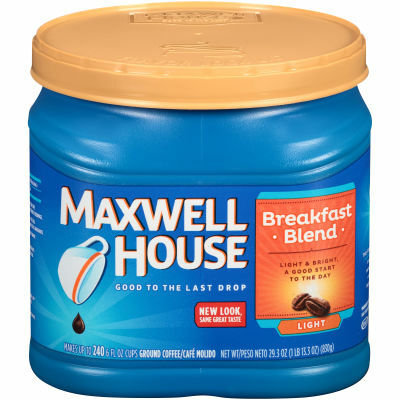 Our Maxwell House Breakfast Blend ground coffee brews up with a rich and heady aroma. Its light roast and 100% pure coffee bean grind keeps your taste buds wanting more. - Real Coffee Flavor, Fresh and Delicious - Our Breakfast Blend coffee is stored in a handy canister, so its fabulous flavor is locked in, lasting and ready when you are.